Hello gamers! I bring you a treat to those who enjoy classic games. It was recently announced on Halloween by the Playstation Twitter page that the classic PS1 game MediEvil will be back and entering the world of PS4. Just like past PS1 games like Spyro the Dragon and Crash Bandicoot, MediEvil was a classic PS1 game made in October 1998. This game starred a skeleton knight named Sir Daniel Fortesque who embarks a chilling quest to defeat an evil sorcerer named Zarok. This game was heavily inspired by Tim Burton’s Nightmare Before Christmas and the game was so good, it got a sequel in 2000 and then later a remake port for the PSP in 2005. 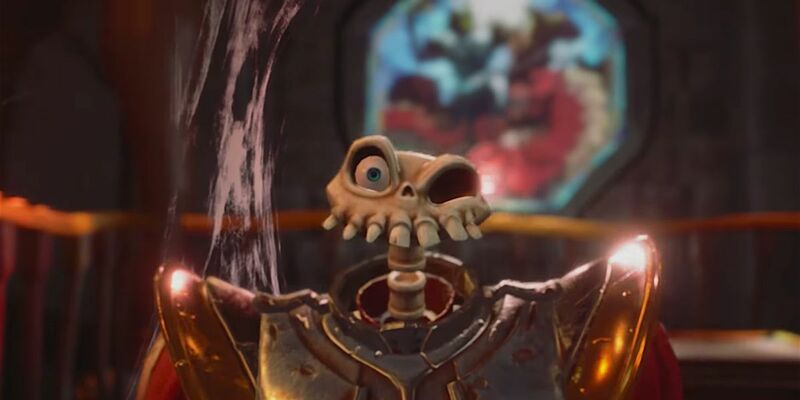 According to the trailer, MediEvil for PS4 will be released in 2019. This game will be a reboot and built from the ground up. If you remembered playing this game in the PS1-era or even played a demo like me, brace yourself for this skeletal hero. I played the demo of the original and lvoed it but never got to play the full thing unfortunately. Yeah the same happened to me as well. Back as a kid, I remember playing a PS1 demo disc which had MediEvil in it and I never got the full game. It was fun though. It was indeed, like a decent hack and slash at time. Yeah and the gameplay was all about slaying your enemies and exploring the world. In a way, it was almost like a Playstation version of Legend of Zelda. In a way. Alundra always made me feel that way too. I never played Alundra but it looks good. Interesting. I am surprised no one talks about it that much. If it’s like Zelda, it should get some recognition. I see. That pretty stinks. Too bad it doesn’t even have a digital version at the PSN store. Yeah I agree. It’s nice seeing classics come back.